There are plenty of origami models nowadays and I can tell you that most of them are amazing. I am fond of flowers origami they are the most stunning in my perspective and there are many different tutorials of its kind. 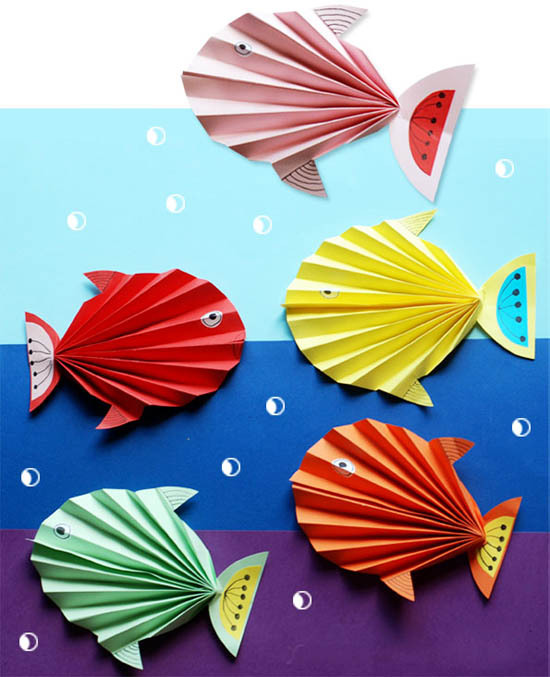 Just recently I stumble on fish origami on Pinterest, and It caught my attention. I recently posted about origami fish and I found more ideas about it. I couldn't make tutorials to all of them so I just pick the best photos of them and post it here. artwork for your classroom or bulletin board.